Borealis recording artist Ron Hynes has created beautifully crafted signature songs for more than 35 years. 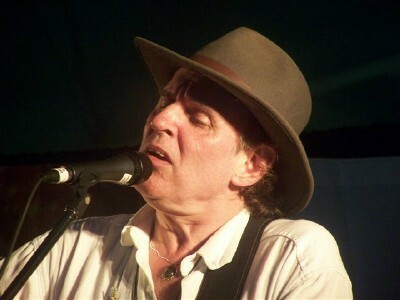 With eight solo albums and numerous collaborative projects to his credit, Ron Hynes is a six-time East Coast Music Award winner, a Genie Award winner, a past JUNO, CCMA and Canadian Folk Music Award nominee and recipient of the SOCAN National Achievement Award for songwriting career success. 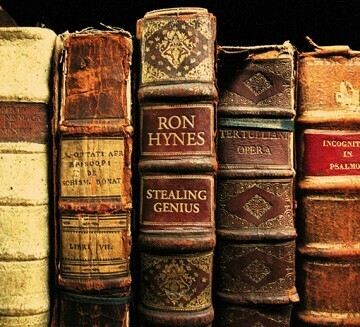 The release of Stealing Genius came hot on the heels of the world premiere of �The Man of a Thousand Songs�, a feature-length documentary, of which Hynes is both subject and star. Directed by acclaimed filmmaker William D MacGillivray and co-produced by Terry Greenlaw (Picture Plant) and Jordan Canning (Get Set Films), the film premiered to capacity crowds at the Toronto International Film Festival and garnered Atlantic Film Festival awards for Documentary, Director and Audience Favorite. Best known for his folk classic Sonny�s Dream, haunting chronicle Atlantic Blue, heart-wrenching requiem Godspeed and a string of country radio hits including Cryer�s Paradise, Man of a Thousand Songs, No Kathleen and Roy Orbison Came On, Ron�s songs have been recorded by artists world-wide including Emmylou Harris, Mary Black, Christy Moore, Denny Doherty, Murray McLauchlan, John McDermott, The Cottars, Hayley Westenra, Kim Stockwood and many more.